The market is open from the afternoon through to late night, with most visitors enjoying dinner or after dinner snacks. Before 5pm there is little to see here, and after 1am it is also quiet. The best times to visit are from 7 or 8 PM onwards, depending on the season, earlier during the winter, and until midnight. At the latest part of the night it is only shift workers and such who are still at the market, and most of them are just trying to get a late bowl of noodle dinner, and so there isn't much activity in the rest of the market, just a few tired people trying to get some food! 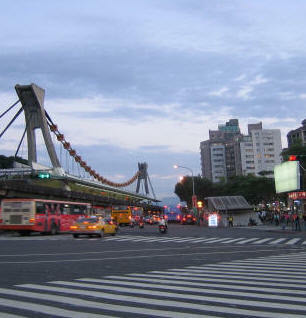 It's best to visit at twilight so you can see your way around a little before the sky becomes completely dark, particularly if you want to take photographs, of course it is never completely dark in Shilin Night Market as stalls and restaurants have bright lights everywhere to attract the attention of customers and allow you to see their wares clearly.